The 2019 Hyundai Elantra sedan and GT hatchback offer a remarkable list of standard and optional equipment and at an impressively low price. Features not even found on some luxury cars are available here, as well as a new range of driver-assist safety features. The sedan gets a complete makeover this year, while the GT remains the same. It runs smooth and I take it camping. I fit eight people. Not heavy enough for snow travel. I wish it had leather heated seats. I love the legroom and trunk space. I love the backup camera. I miss having a CD player. 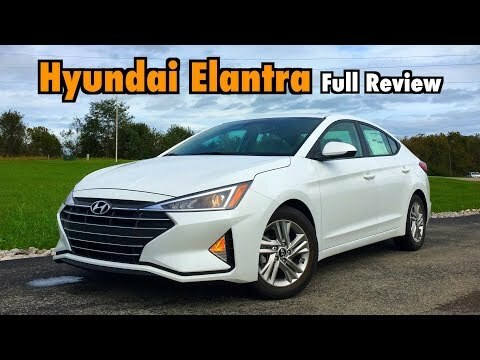 2019 Hyundai Elantra: FULL REVIEW + DRIVE: Hyundai&#39;s Best-Seller Gets Angular! Is the 2019 Hyundai Elantra Limited still a GREAT BUY?